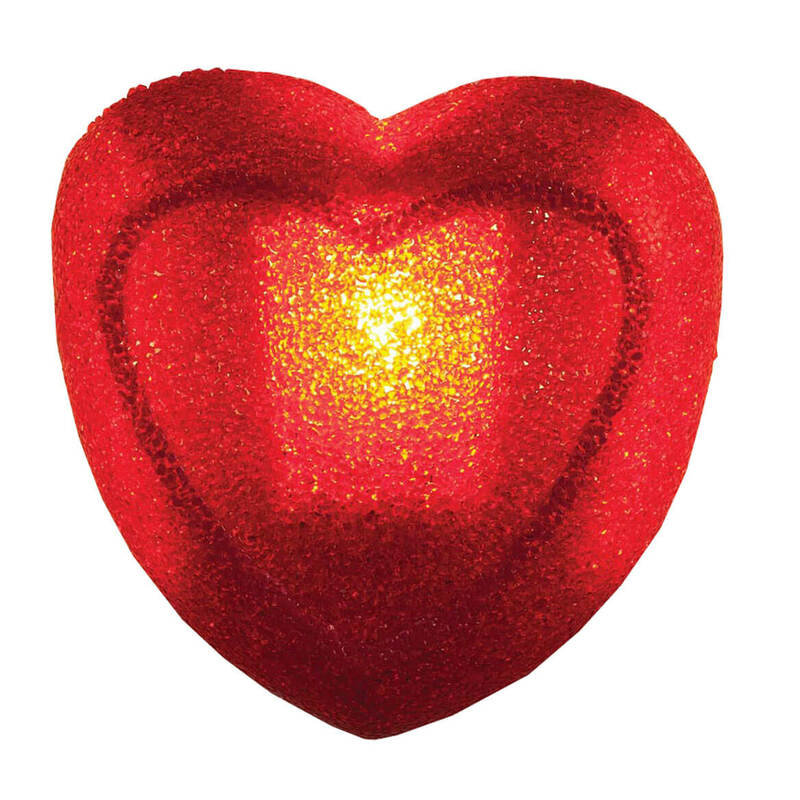 Simply pop this glittering heart over any porch light for instant Valentine’s cheer! Cover attaches in seconds, securing easily with its own elastic strap. 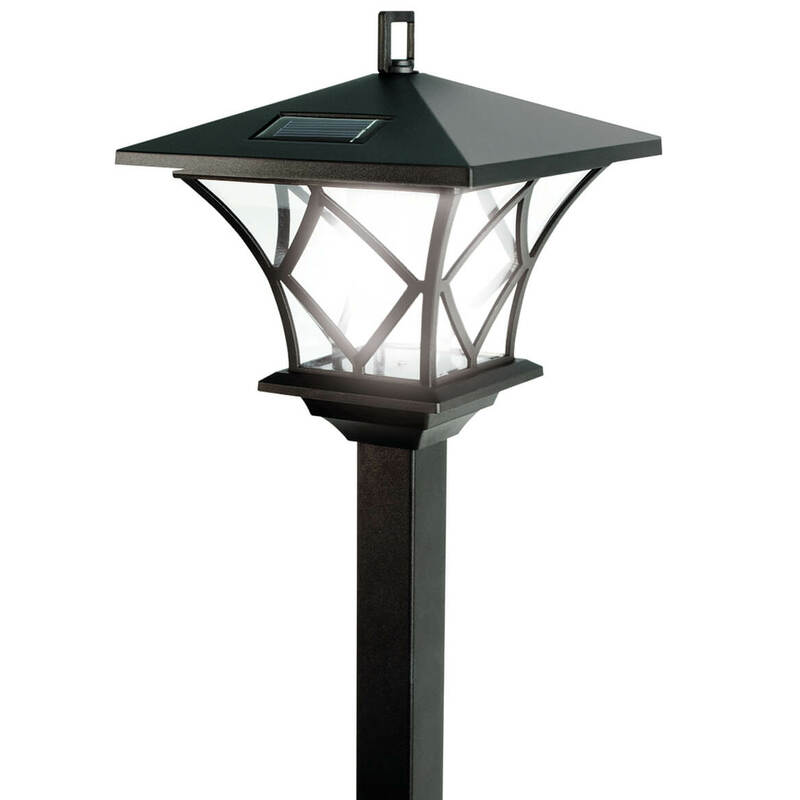 Designed for outdoor durability, it transforms almost any porch light into a seasonal decoration you’ll love. 12 1/2″ long x 10″ wide x 4″ high. Soaking up sunshine and twinkling automatically at dusk, these Santa solar lights with stake make holiday decorating easy—on you, the environment, and your budget! 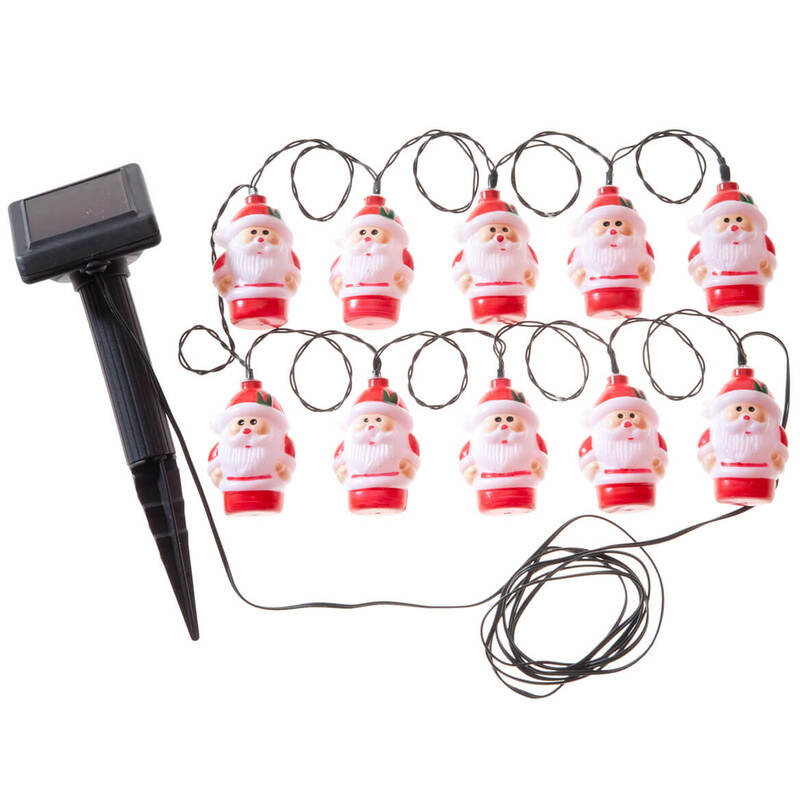 A merry way to mark a walkway, light a porch railing or fence, the LED light string includes 10 Santa lights with white LED bulbs and a solar panel that stakes into the ground. Solar powered light string measures 148″ long overall with 7 1/2″ between each light. Charging with solar power by day to glow brightly each night, these solar driveway markers illuminate your driveway, helping increase visibility for your family and guests. No hassling with cords and wires or costly electricity; simply stake the driveway lights in the ground with solar panels exposed to sunlight and they’ll glow automatically at dusk, shining up to 15 hours when fully charged. 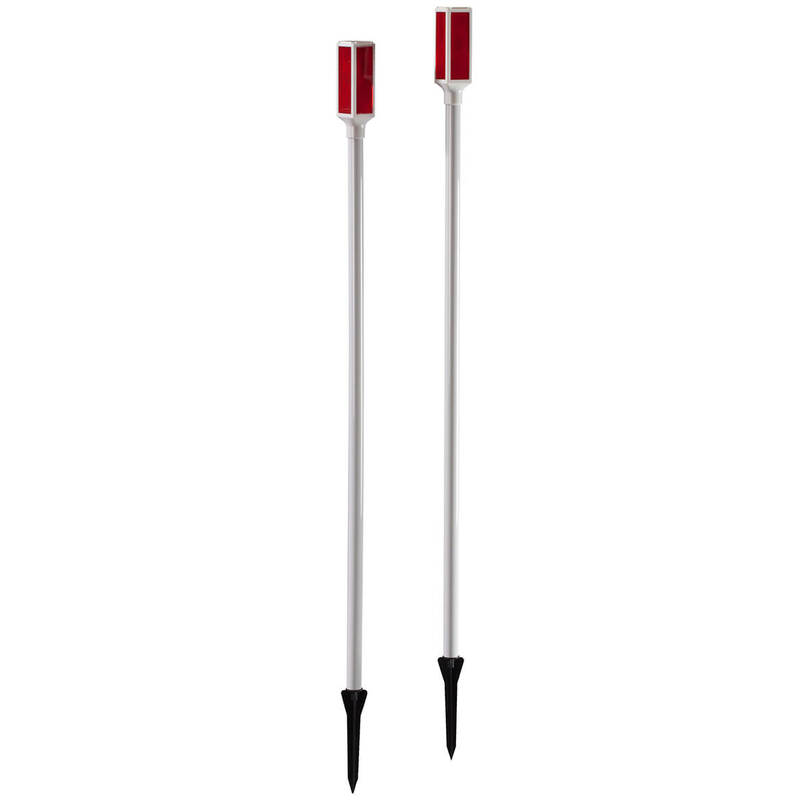 Each 42″ high driveway stake features “flash” or “constant” lighting modes and is crafted of durable polypropylene for year-round use. Set of 2. Automatically illuminating your American flag at sunset, this bright, 3-LED bulb solar flag pole light shines proudly ’til dawn’s early light. An easy, affordable way to show your patriotism, the flag pole light’s solar panel absorbs sunlight by day to shine for up to 8 hours at night. No wiring or electricity required; the durable stainless steel clamp fastens to any pole up to 2″ diameter, adjusting for optimum illumination. 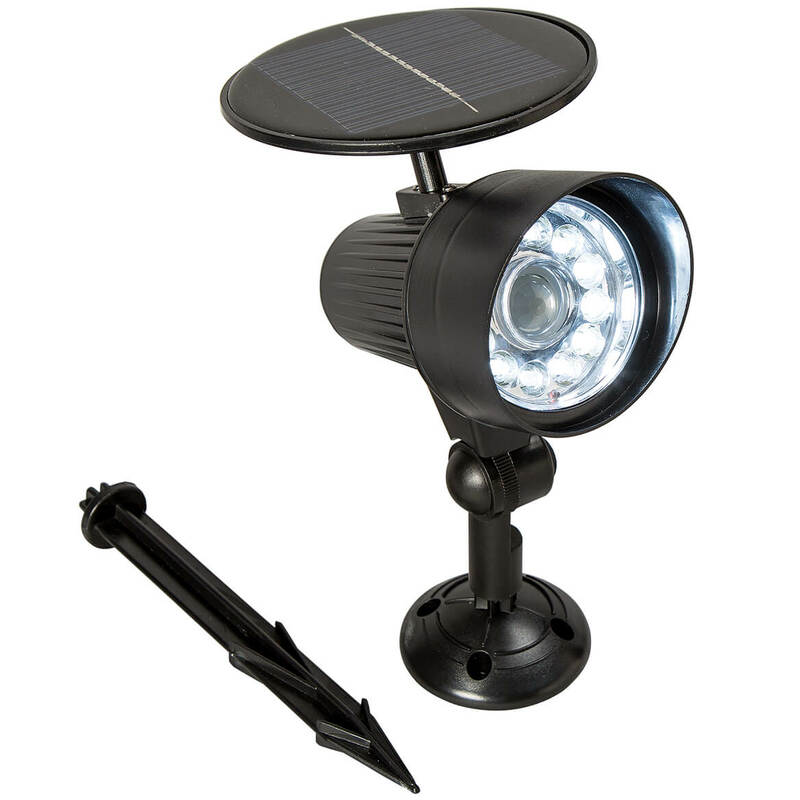 8 1/2″ long weather-resistant solar flag light features rechargeable solar battery, on/off switch and instructions. Flag and pole not included. Decorative day and night, this charming hanging solar light illuminates pathway, garden or landscape, activating at dusk for a wireless, solar-charged glow. 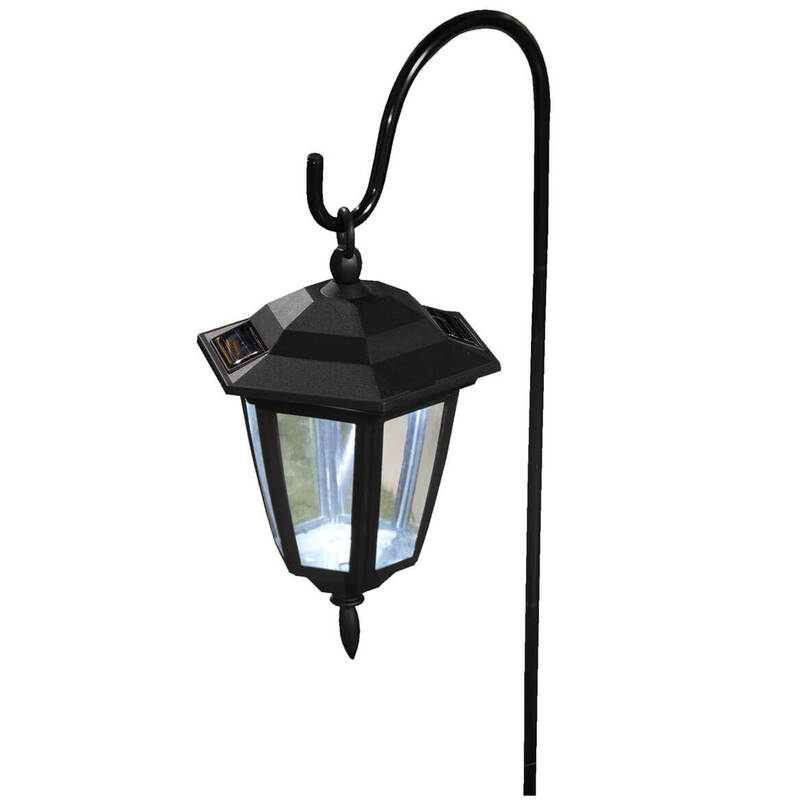 Offering curb appeal and amazing value, the 9″ high x 5 1/2″ wide x 6 1/2″ deep lantern features bright LED bulb and 23 1/2″ high shepherd’s hook with 4 3/4″ long ground stake in durable, weatherproof plastic. Soaking up the sun’s natural energy by day, this solar LED lamp pole’s bright LED bulb shines automatically each night—no wiring or costly electricity required! Simply attach solar lamp to top of the freestanding pole, or hang it from the hook for decorative lighting on patio, walkway or any outdoor setting. Solar panel powers best in direct sunlight; includes solar battery with on/off switch. Plastic. 9 1/8″ long x 6 3/4″ wide x 53 7/8″ high. When you want extra security but don’t have electricity (or a huge budget), this solar LED security light offers reliable, affordable peace of mind. By day, this LED light’s built-in solar panel absorbs the sun’s rays so at night, the light activates for one minute when motion is detected—helping deter potential burglars or trespassers. In addition, a red blinking light flashes to mimic real security cameras, day or night. No complicated wiring or installation; includes ground stake and hardware for easy mounting, powering best in direct sunlight. 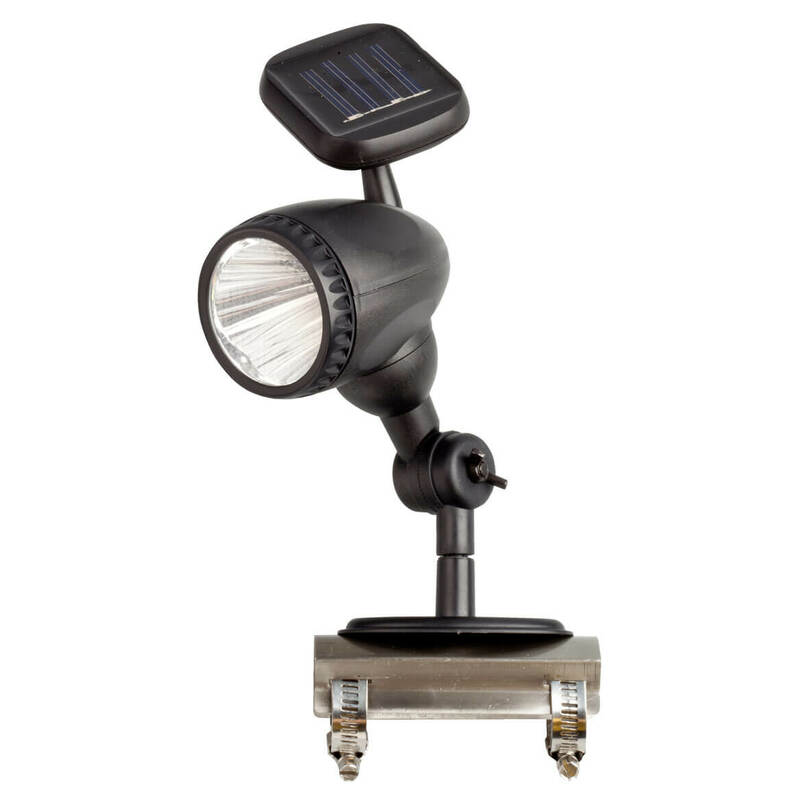 Motion light includes 4 solar batteries and dusk/dawn sensor which activates light only at night. In durable, weather-proof ABS plastic. 8″ long x 6 1/2″ wide x 3″ high. 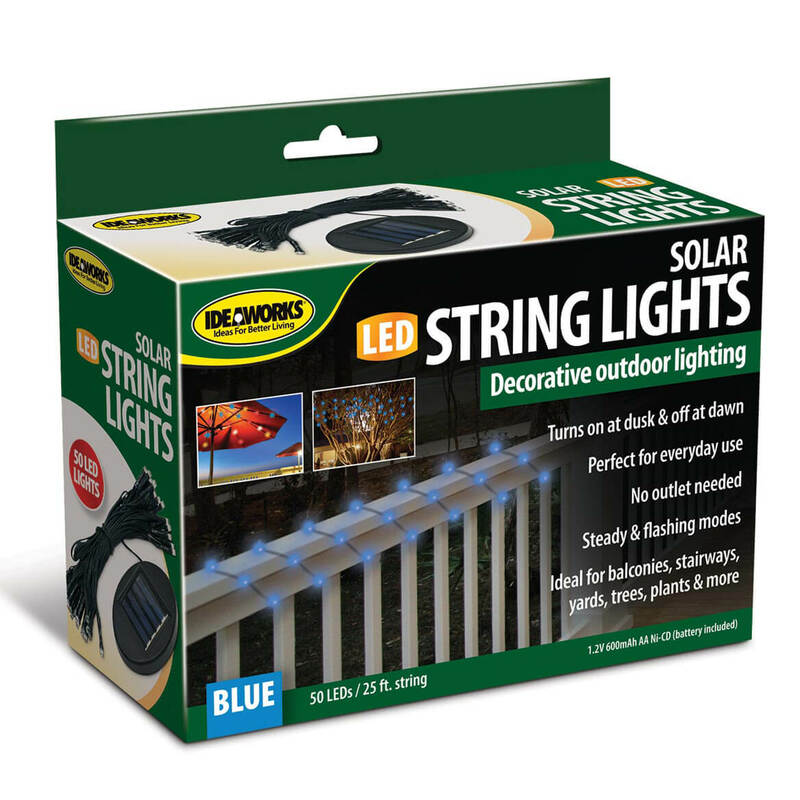 Enhance your deck, patio or campsite with soft twinkling solar string lights—conveniently powered by the sun! No batteries to change, plugs to fuss with or electricity to pay for. Simply hang this 25-ft. long string of 50 tiny LED lights and its solar panel will power up and charge the weather-resistant battery for a soft outdoor glow at dusk. Specify color: blue, red, white or yellow. Outdoor string lights include solar battery (1.2V 600 mAh AA Ni-CD), on/off switch, solar panel and 8″ high ground stake. 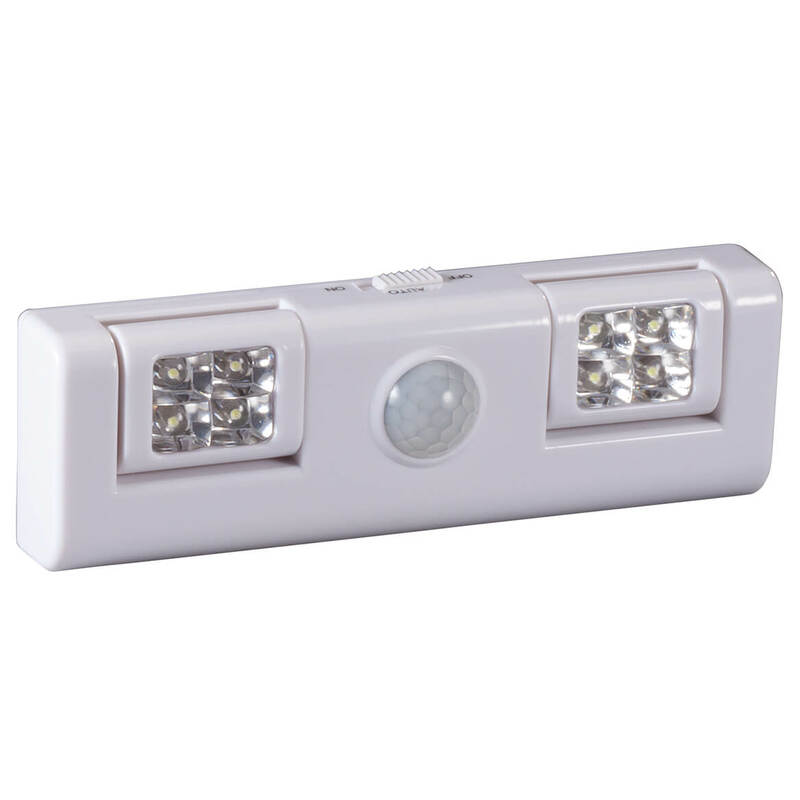 Automatically activating when sensing motion, this 8 LED motion sensor light illuminates hallway, bathroom, staircase, closet or entryway—no more risking a fall or fumbling for a switch when your hands are full. Its two light panels rotate a full 90 degrees, each directing bright LED lights exactly where you choose. Features eight LED bulbs and two lighting modes: ON (keeps lights on, regardless of motion) and AUTO (motion sensor setting, deactivates lights approx. 20 seconds without movement). Includes hook-and-loop fastener for custom, wireless indoor mounting—offering motion-activated LED lighting all around your house. Uses three AA batteries (not included). 6 1/2″ long x 2 3/16″ wide x 1 1/8″ high. Waving proud colors of Old Glory by day, this American flag solar light automatically illuminates your landscape each night—powered by old-fashioned sunshine! 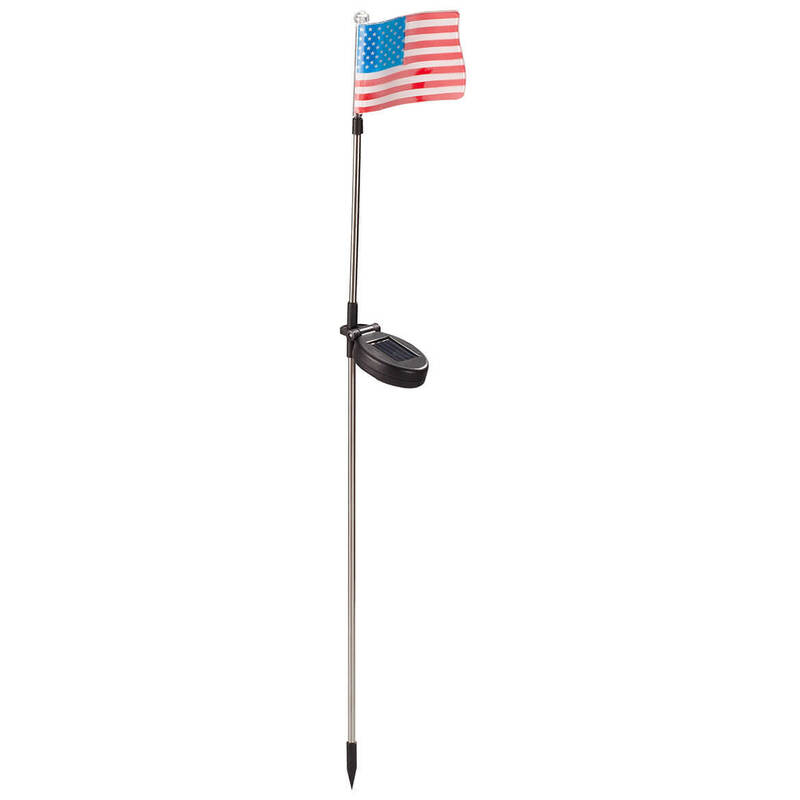 Durably crafted of heavy-duty plastic with a long-lasting LED bulb, our patriotic flag light tops a sturdy metal pole that stakes easily in your lawn or garden. Simply stake it in the ground with solar panel exposed to sunlight, and its soft light will automatically glow at dusk. Includes on/off switch and ground stake. Easy 4-pc. assembly. 4 1/2″ wide; 32″ high with stake.